The fight to save a Seaford green space was given a boost by a Lewes District Council decision this week. This was unanimously refused by LDC’s planning committee on Wednesday. A petition to maintain Blatchington Green as an open space gained more than 300 signatures. Resident Pam Titchmarsh, speaking in objection, said: “Development of the site would deprive future generations of children of a valuable play area. “It is quite clear that this application has been submitted by Seaford Town Council to enable them to fund improvements to the seafront and other projects around the town. It is a money-grabbing exercise which takes no cognisance of the views and wishes of local residents or indeed the use of the site. “Three-hundred people can’t be wrong, please listen to them and reject the application. While no speakers attended on behalf of Seaford Town Council, committee members were presented with last minute written representation from the authority. The letter, copies of which were circulated at the meeting, read: “The report is completely one-sided and makes reference to all the list of reasons objectors have made to the application, but [makes] no reference to facts presented in support of the disposal by Seaford Town Council. “The main defect in the report is that no comment in made to the fact the [planning obligation] bestows a children’s play area (not a green space, this could be tarmac) for the use of 21 households only. The letter also saw the town council spokesman criticise Lewes planners for not recording Seaford Town Council’s view that the site is too small to be a safe children’s play area. The spokesman also argued that there is no shortage of green space in the town and said the majority of Seaford residents supported building on the site. Committee members, however, did not agree with the town council’s views, with the councillors unanimously voting to refuse the application. Linda Wallraven (Con. 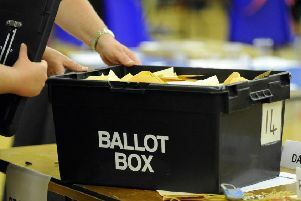 – Seaford West) did not take part in the vote after declaring a prejudicial interest as a member of Seaford Town Council. It is unclear at this stage whether the separate application to build three houses on the land is to be withdrawn.